If you want to explore colourful cultural scene of Toronto, top Toronto museums offer a glimpse of rich history and ethnic diversity of our dynamic, multi-faceted city. Toronto is home to some of the excellent and unique museums in the world where you can find collection of very rare objects and artifacts of different kind. These museums are not only great source of knowledge, but they also provide lots of fun and entertainment to visitors. 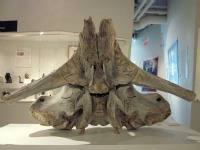 A unique mix of conventional and quirky, Toronto museums feature everything that you can dream of. From ancient art to contemporary art...from sports to science...from natural history to world cultures...from historical buildings to war museum - there is something for visitors of every interest. 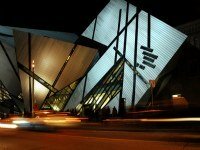 With breathtaking collection of dinosaurs and bats, the Stanley Cup replica and AVRO Arrow metal replica, gems and jewellery, textile and shoes, ceramics and minerals, sculptures and paintings, the best Toronto museums will capture your imagination. Below is a list of major museums in Toronto. I have grouped them by their specific type for easy navigation. Which one is your favourite? The glass and aluminium clad Royal Ontario Museum is a fantastic fusion of historic architecture and futuristic design. Considered as Canada's top museum arts and culture, it is a treasure of more than 6 million incredible artifacts. As the name suggests, Bata Shoe Museum is a unique and unusual museum of shoes  in fact everything about shoes. Explore the fascinating collection of more than 10,000 shoes and related items including shoemaking tools and shoe paintings assembled from all around the world. The museum also features footwear worn by several high-profile celebrities. 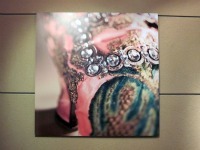 Check Bata Shoe Museum for more interesting facts and photos. If you are into ceramic art and collectible, the Gardiner Museum of Ceramic Art is absolute must for you. It is North America's only museum devoted to ceramic art and offers great insight into one of the world's oldest form of art. 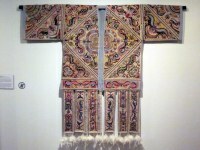 Are you fascinated by textiles, fibres, dyes and all sort of needlework? 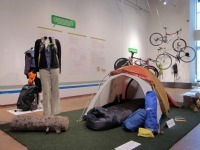 Visit the Textile Museum of Canada, an interesting museum solely dedicated to textile arts. Canada's only museum of its kind, the Textile Museum commemorates the historic and contemporary textile arts from around the world. Explore 4,000 year history of Canada's Arctic region at the recently opened Museum of Inuit Art (MIA), Toronto. Located in the historic Queen's Quay Terminal Building at spectacular Toronto Harbourfornt, the MIA is Canada's only public museum south of the Arctic dedicated exclusively to Inuit art and culture. The amazing collection of more than 300 artifacts includes prehistoric art, art of the historic period and contemporary art. Enjoy the fascinating collection of sculptures carved from stone, antler, ivory and bone, ceramic works, wall hangings and prints. The MIA also offers rotating exhibitions featuring individual artists, themes and materials. Famous for its quirky and contemporary works of art, the Museum of Contemporary Canadian Art (MOCCA) is a perfect for contemporary art lovers. Located in the Art and Design District on West Queen West, the museum features innovative and impressive art by Canadian international artists. MOCCA features a variety of unique and stimulating exhibitions and offers great platform for emerging and established artists to promote, research and exhibit their influential and avant-garde works of art. 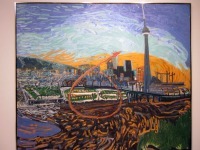 Its growing, permanent collection includes more than 400 works by some of Canada's most noteworthy artists, including Betty Goodwin, Roland Poulin, Stephen Andrews, Jeff Agar and Ivan Eyre. Free admission. Located in the old Stock Exchange Building, the Design Exchange or DX is a remarkable museum devoted to promoting Canadian design. The small but fascinating museum depicts the role of design in cultural life and economic development. The permanent collection of the museum showcases work from fields as diverse as graphics design to interior design, from fashion to architecture and from house wares to outdoor equipments - you'll find it all at this out of ordinary museum. 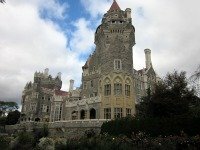 If you like to visit historic and awe-inspiring architectural buildings, Casa Loma is a great place to be. The elegant castle, with its rich history and grand structure, is the best historic Toronto museum. 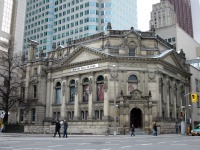 If NHL and Stanley Cup fascinate you, the Hockey Hall of Fame is a must visit Toronto museum. With spellbinding collection of objects, artifacts, collectibles, memorabilia, photos and trophies, the museum echoes rich history and spirit of North American hockey. Ontario Science Centre is an incredible science museum with its avant-garde and hands-on exhibits, events, activities and demonstrations. 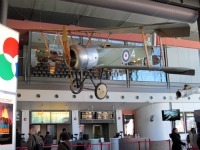 The museum offers insight into different aspects of science  space, aviation, natural science, human body, physic, psychology and communication. Visit the Canadian Broadcasting Corporation (CBC) Museum and feel nostalgic as you explore the history of Canadian broadcasting. Located in the Canadian Broadcasting Corporation's headquarter in downtown Toronto, the CBC Museum features over 4000 interesting artifacts. 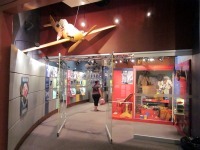 With thrilling interactive exhibits, photos and objects, the CBC Museum is a real fun for everyone. Here you will find old broadcasting equipments, sound systems and artifacts from various popular TV shows. Enjoy screenings of your favourite CBC shows in the neighbouring Graham Spry Theatre. Free admission.